Gahh this little girl was sooooo adorable! I loved all of her beautiful hair. It even had natural blonde highlights in it! 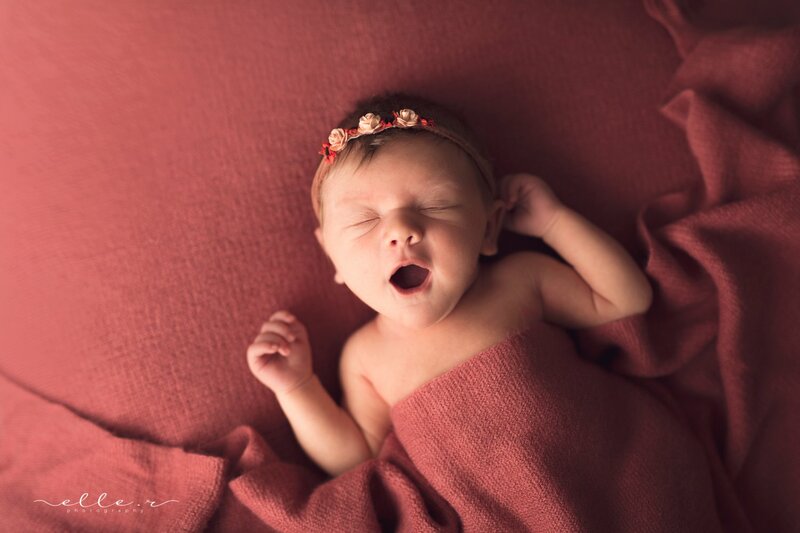 She also slept so soundly for her session.  Elle R Photography is a Professional Calgary Newborn Photographer. 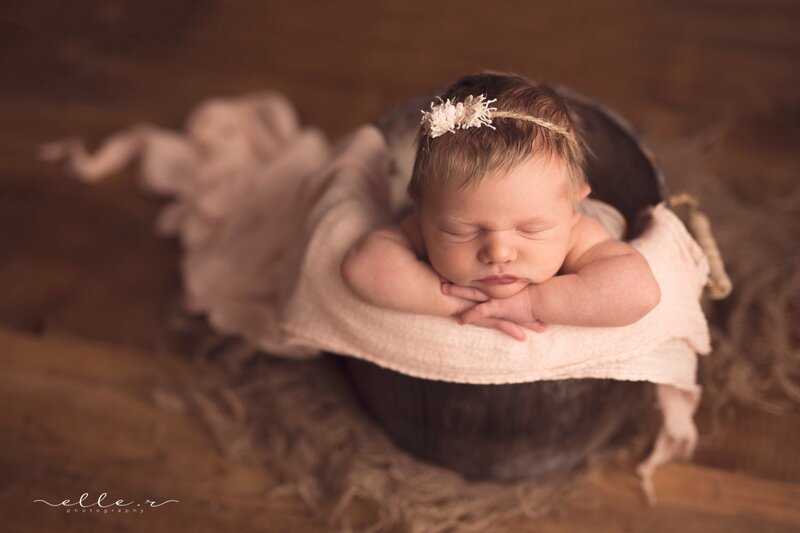 Petite newborn sessions are perfect for those who just want a handful of beautiful images of their baby. 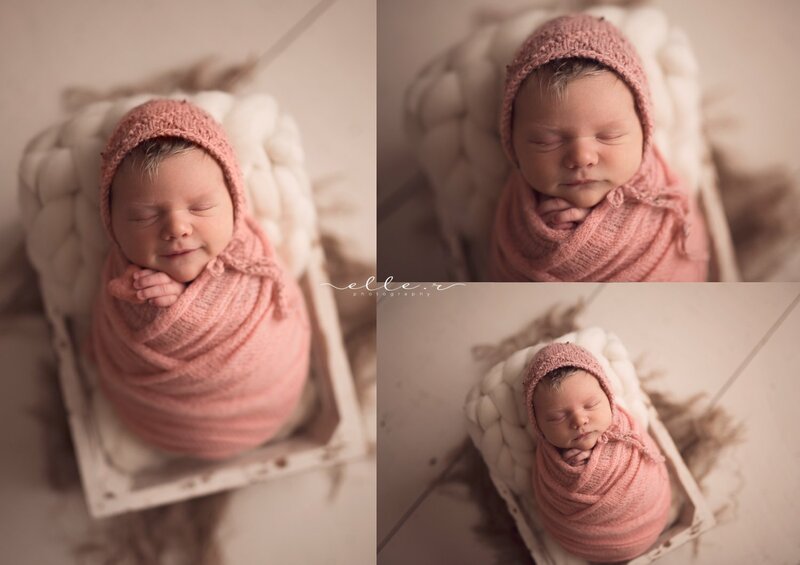 These images are similar to what a petite gallery would look like.